Yes, yes, I know. Summer is only a month away. But that’s why it’s time to celebrate Spring while it’s still HERE! Plant some flowers. Do your Spring cleaning. And hey, it’s the time of new beginnings, so why not start a new project while you’re at it? New Traditions Publishing is accepting submissions right now! So, if you have this great idea for a book, but have been struggling to actually bring it to life New Traditions can help with that! Are you almost finished with your project, and just need those final touches to get through the home stretch? New Traditions can help with that too! Ghost writing, editing, publishing, and even designing custom book covers are just some of the services that are being offered right now. Click the link below for more information about submitting your work, or simply email info@newtraditionspublishing.com to get your free quote today! Oh! 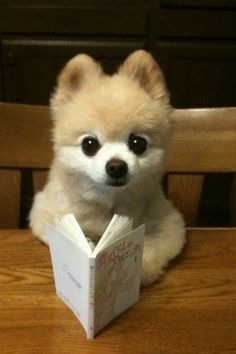 And just so this post doesn’t sound too much like a cheesy infomercial, here is a picture of a cute puppy reading a book.